Fit Foodie Megha: Happy Belly – Eat your heart out!- Healthy Snack Boxes — Reviewed! Happy Belly – Eat your heart out!- Healthy Snack Boxes — Reviewed! 'Chhoti si Bhookh' - no need to mention small hunger pangs we get occasionally while at work, shoots, or travel or even at home. How good it would be if we have a variety of healthy snack box to munch on anytime. Happy Belly is one saviour to provide people with a service that helps them with their daily challenge of healthy snacking. Loaded vital vitamins and powerful proteins. The Snack boxes are covered under 7 categories..
Nutrilicious - The ‘go-to’ box for the health conscious. The box of goodies are jam-packed with antioxidants, high-fibre whole grains, muscle building proteins, dietary minerals and other nutrients. Munchkins - Kids favourite box punched with health and goodness. Party Packs - Need not to worry about hosting a party when you have a snack partner like Happy Belly. The chic bites will make your party a memorable one. Super Stars - Confused, what to order? Go for Superstars as it has all the best sellers and popular snacks in one box. Satvik - Want to go for traditional food with contemporary twist, I would suggest this choice. Puranpolis and Fun in a bun is my favourite! Starburst - Mix of snacks with sweet and savoury taste. Magical Mystery - Ready to be surprised by this option. Experts from HB will amaze you with their choice of goodies. Happy Belly was kind enough to send me some delish products to review. The packaging is so attractive and items are intact and spill free. Choco Biscotti - Freshly baked Cranberry & pistachio baked biscuits dipped in dark chocolate are super addictive. The power packed biscuits are best paired with coffee. Its crumbly texture and melt-in-mouth preparation makes it one of my favourite. Fine Praline - Nuts and Chocolate are the best combination and the sound of crackling butter bite of praline is music to ears! Choco Stars - Twist of Shankarpali with chocolate is attraction for not only kids but also adults. So cute looking chocolate dipped traditional fritters are choice for all in family. Fun in a Bun - This was a surprise element for me. 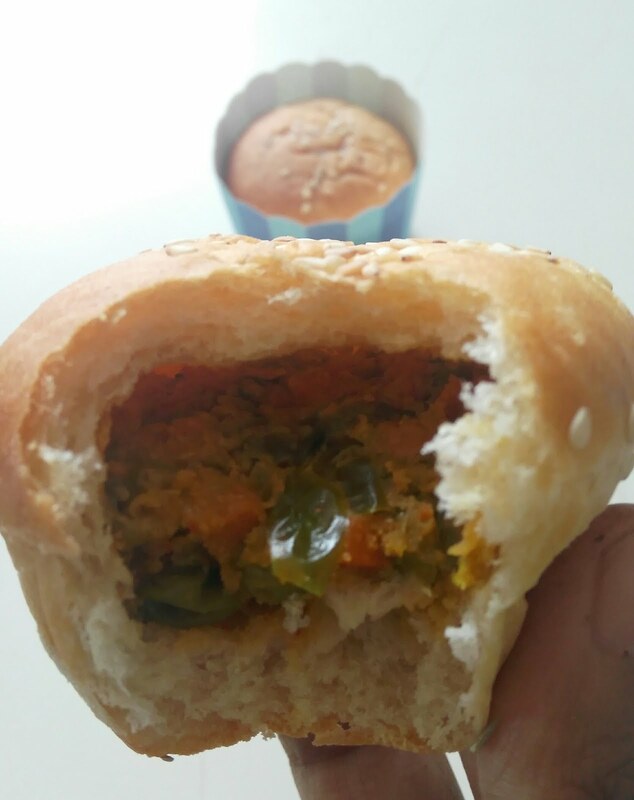 I thought it would be a sweet bun, but, with first bite, oh that savoury filling was just so awesome. Best part was it was a wholewheat bun. Healthy and Tasty! Beet Eat - I am really fussy about eating beetroot, but when I get in this form, I am ready. The thin crisps were baked and preservative free. I found it bit chewy sometime but taste wise it was balanced with salt and chilli flakes. Soy Story - Again, a healthy choice for snack lovers. Soy Katoris were wiped in few minutes! Light on tummy and perfectly spiced, I could not resist this! Onion Sesame Crisps were also one of my favourite because of the mild onion flavour and crumbly texture. The crunch of sesame can be felt in between. Loved it!